View cart “Leather Belt Lanyard Key Ring Keeper with 12 Gauge Shotgun Shell Snap Brown” has been added to your cart. Handcrafted English Bridle leather belt lanyard key chain keeper with a 12 Gauge Shotgun Shell snap and heavy duty 1 inch trigger snap. Multiple uses for keys, on belts, attach items to straps, cell phone attachment, and more. A great gift for the sportsman and for groomsman wedding gifts. 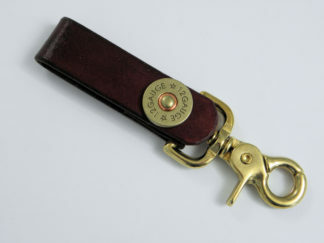 Handcrafted English Bridle leather belt lanyard key chain keeper with a 12 Gauge Shotgun Shell snap and heavy duty 1 inch trigger snap. The first picture shows the lanyard in “Brown” and the last picture shows the lighter “Tan” color. I can also make one for you in other colors. Can also be used to attach a cell phone or many other uses. The perfect gift for the shooter. 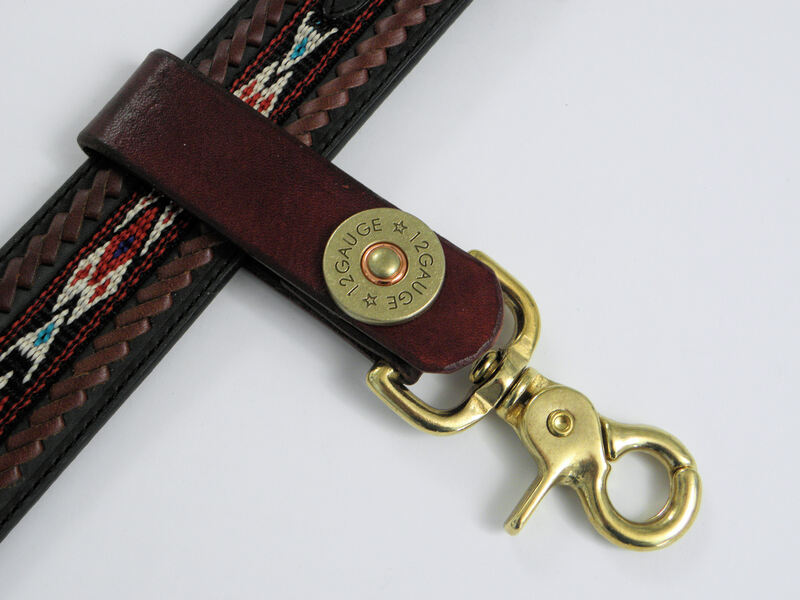 The shotgun shell end is a heavy duty snap on the reverse side. 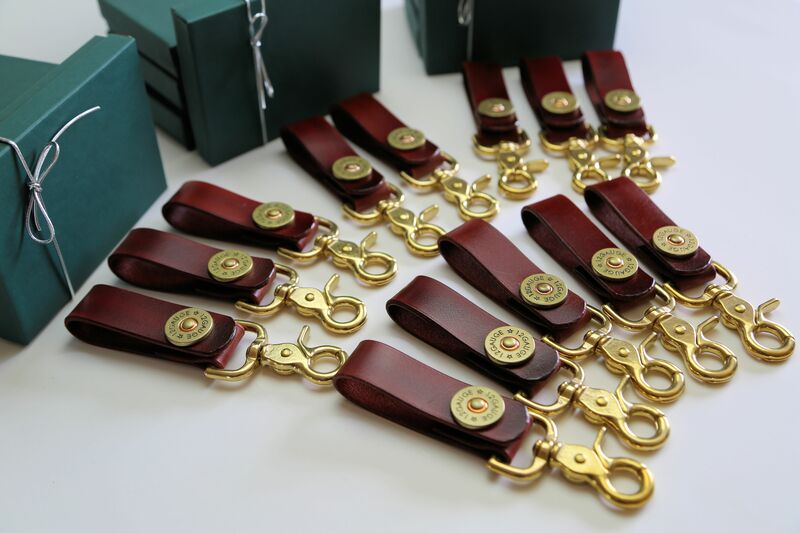 You unsnap and attach to your belt, purse, or case and re-snap with the heavy number 24 snap. The leather is 1 inch 100% genuine English Bridle leather beautifully finished on both sides and burnished on the edges. This strap accepts a 2 inch width or smaller belt. 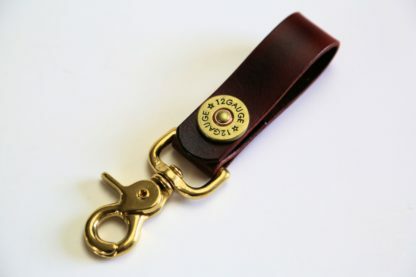 The trigger snap is brass to match the shotgun shell brass color. You may want to order this for groomsmen at a wedding. I give a discount on 10 or more and will gift box ready to give. Regular orders come wrapped in tissue.